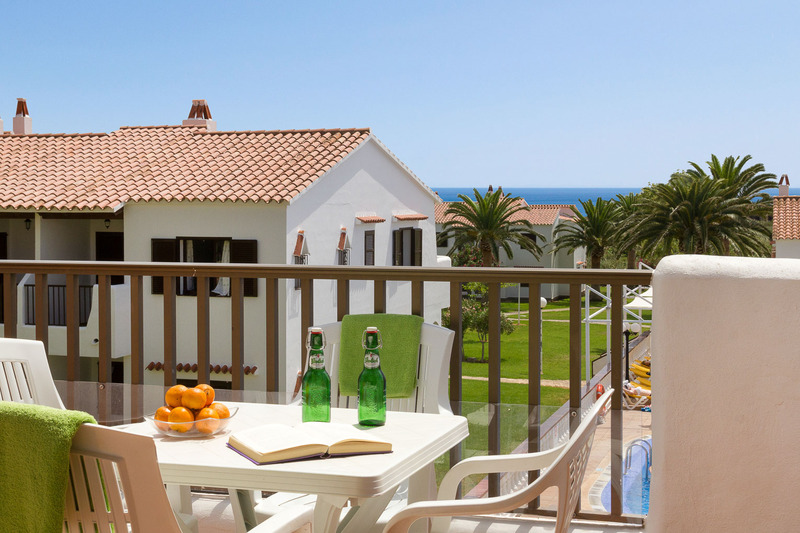 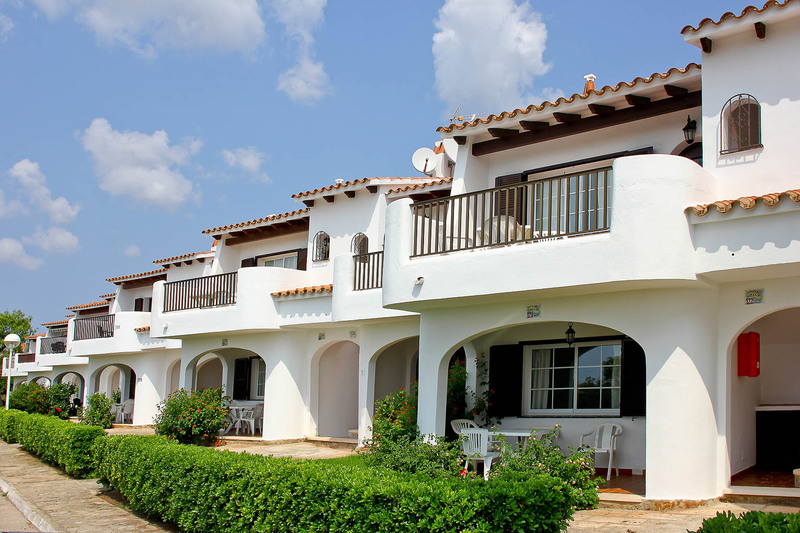 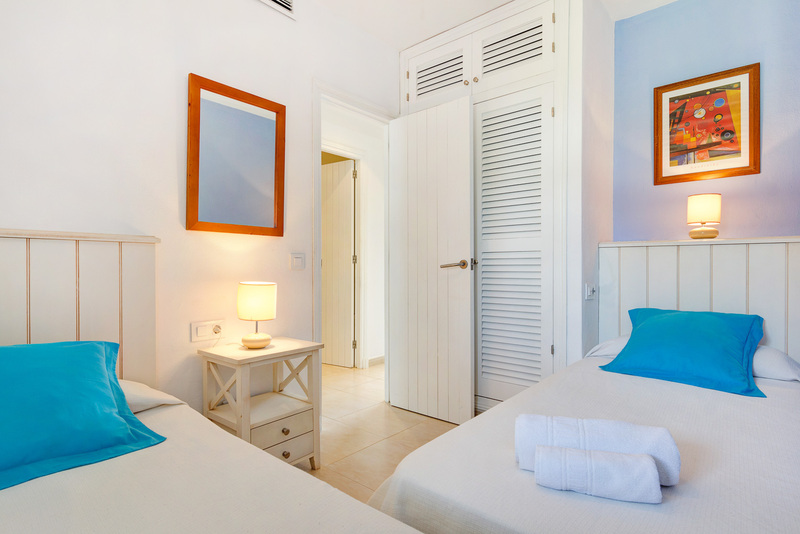 The Son Bou Playa Apartments are located in either Zones 4 or 5 almost next to Club San Jaime in the lower flat area of the resort and surrounded by lawned gardens. 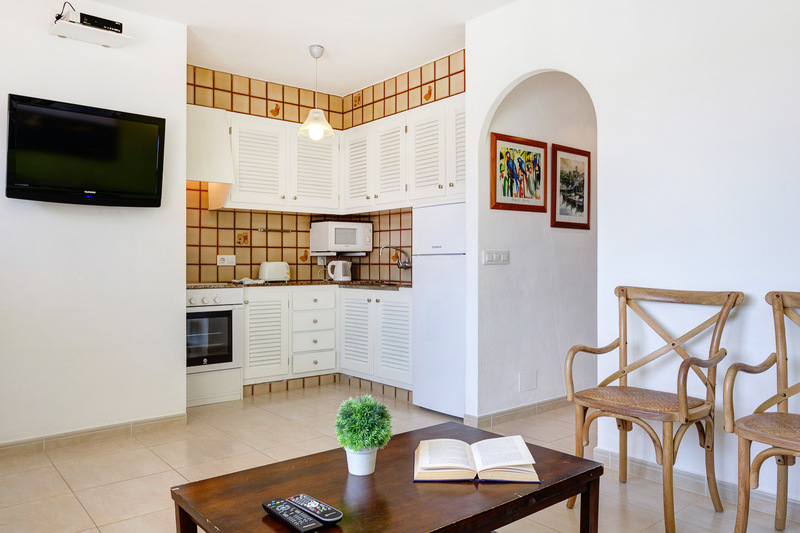 Situated approximately 300 metres from the main resort area of Son Bou and 600 metres from the beach - an ideal location for those who do not wish to hire a car. 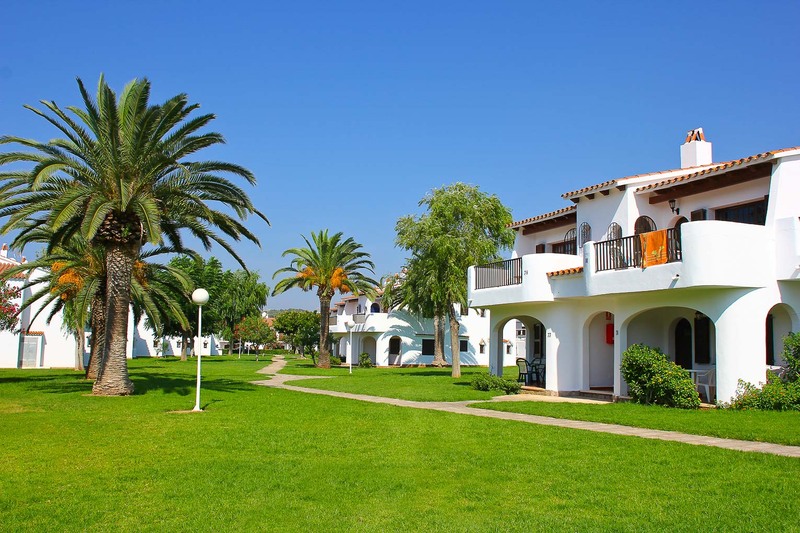 The apartments are either ground floor or first floor properties and have two nicely furnished twin bedrooms to the rear of the property each. 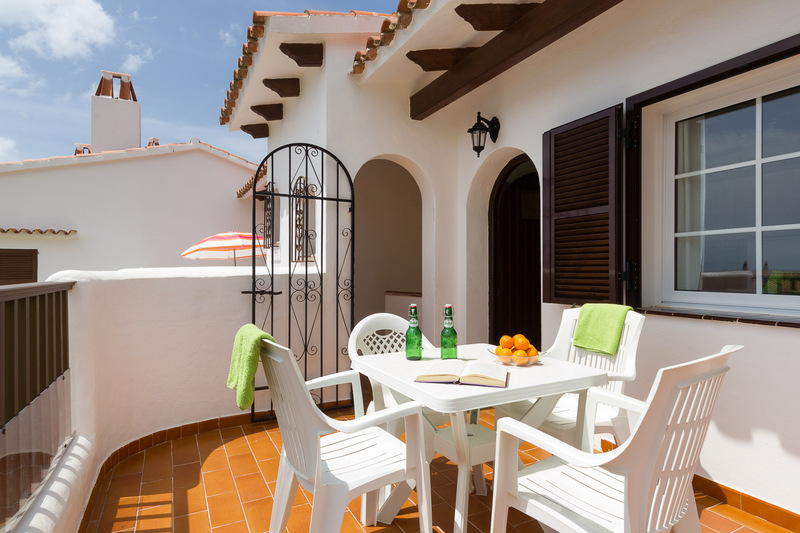 The ground floor apartments have a south facing covered terrace and a rear covered patio and the first floor apartments have an open south facing terrace with a rear covered patio. 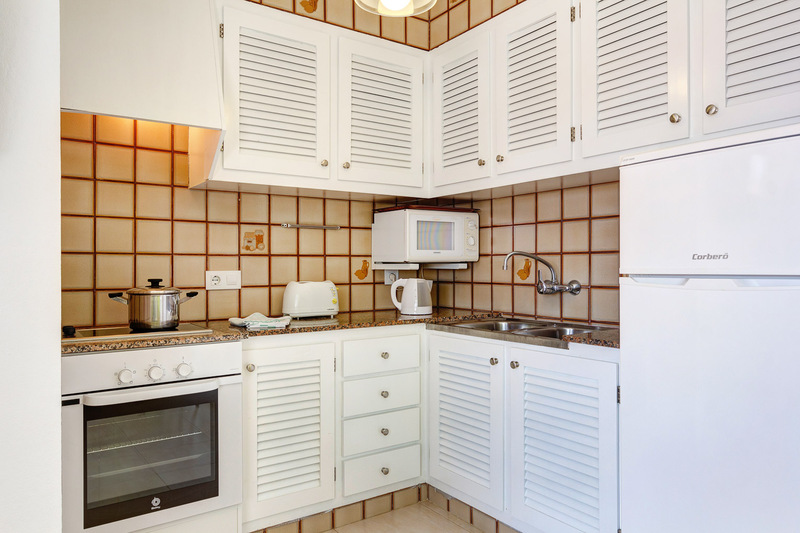 The integral fully fitted kitchen has an electric vitro ceramic hob (2 rings) and an oven, microwave, a fridge with freezer compartment, toaster and kettle together with crockery and kitchen utensils for four guests. 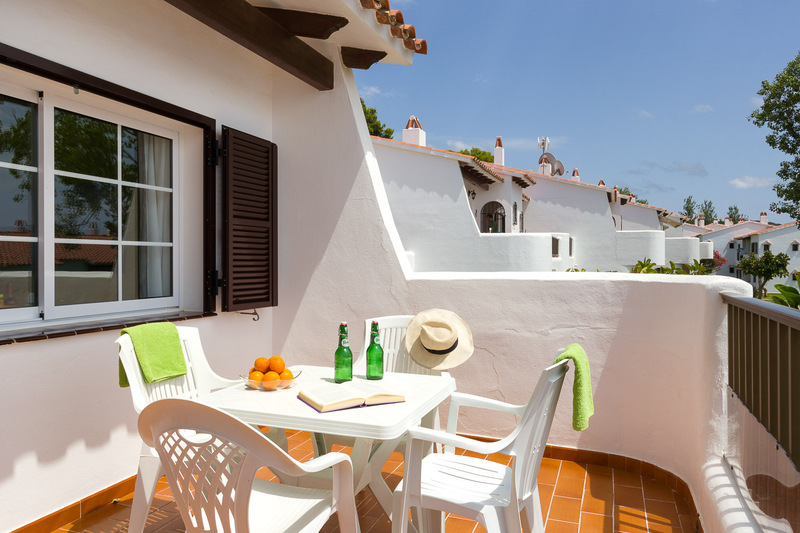 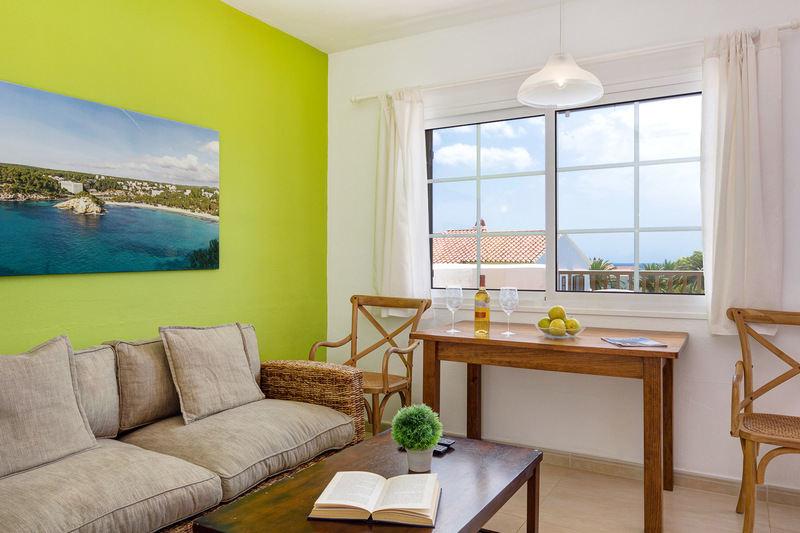 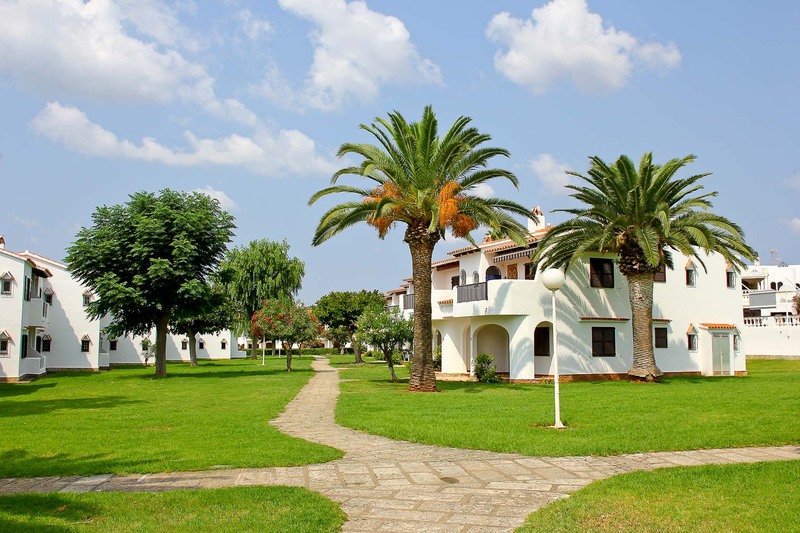 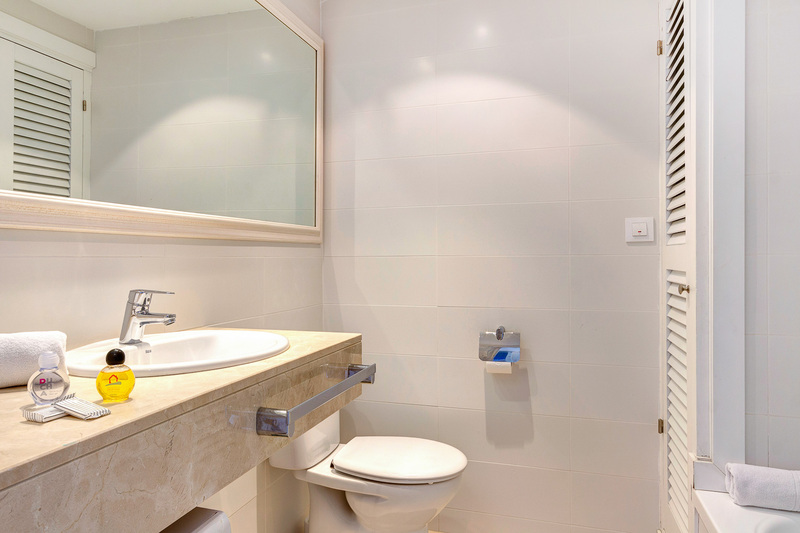 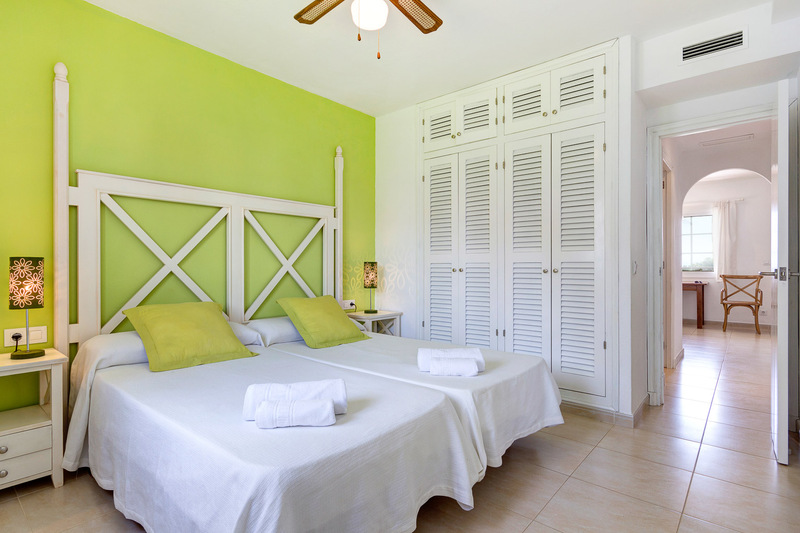 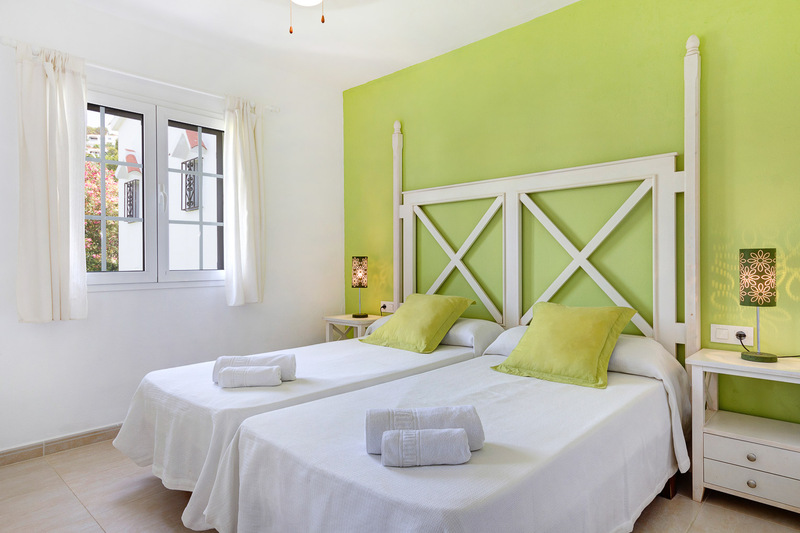 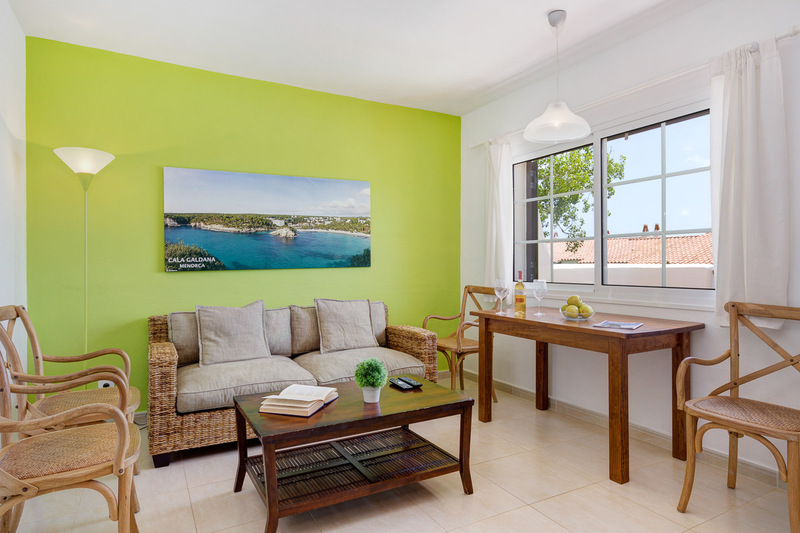 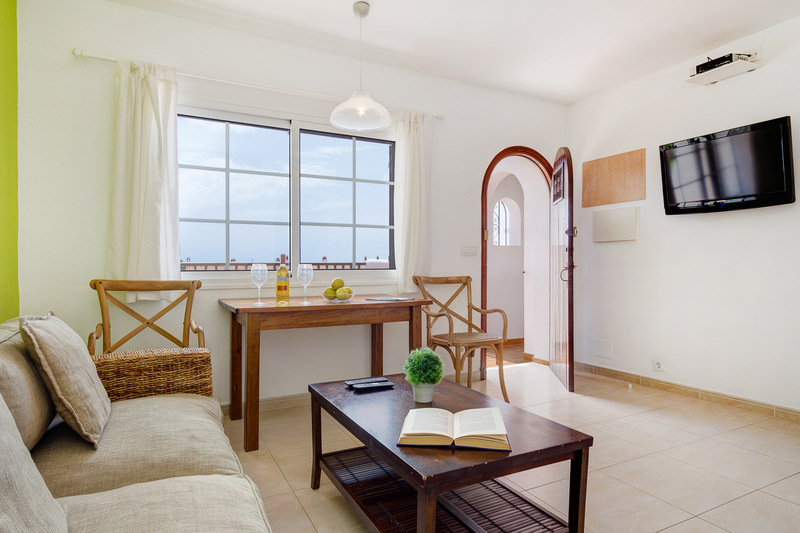 The apartments have central air conditioning and heating, plasma TV with satelitte and a safe. 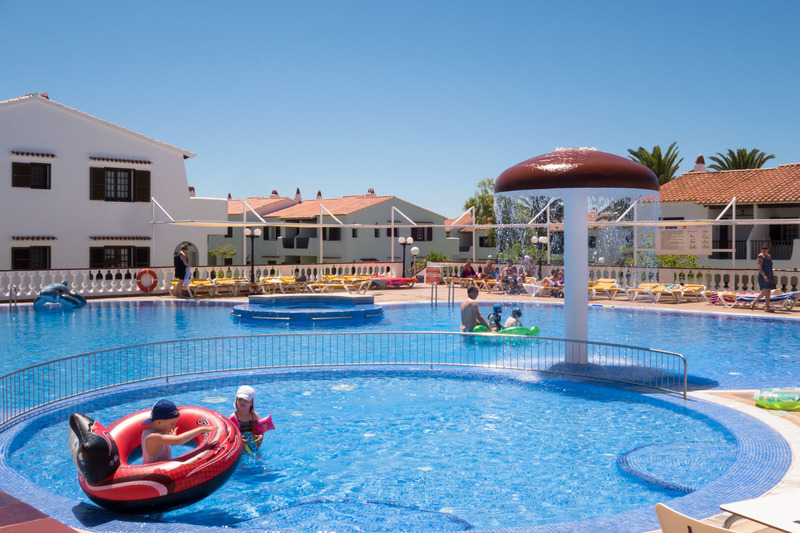 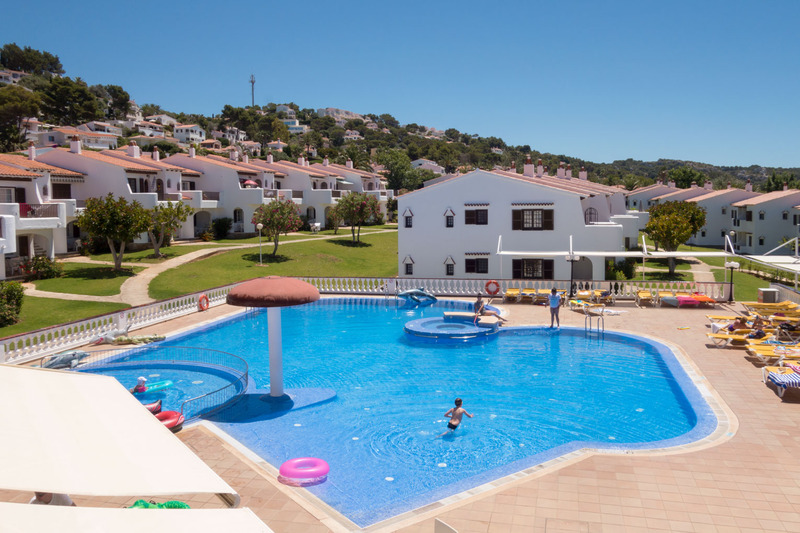 Just a short stroll away there is a large communal pool and the Club San Jaime Restaurant and Square with supermarket, private medical centre, scuba diving school, bakery, souvenir shop, local bus stop and small water park. 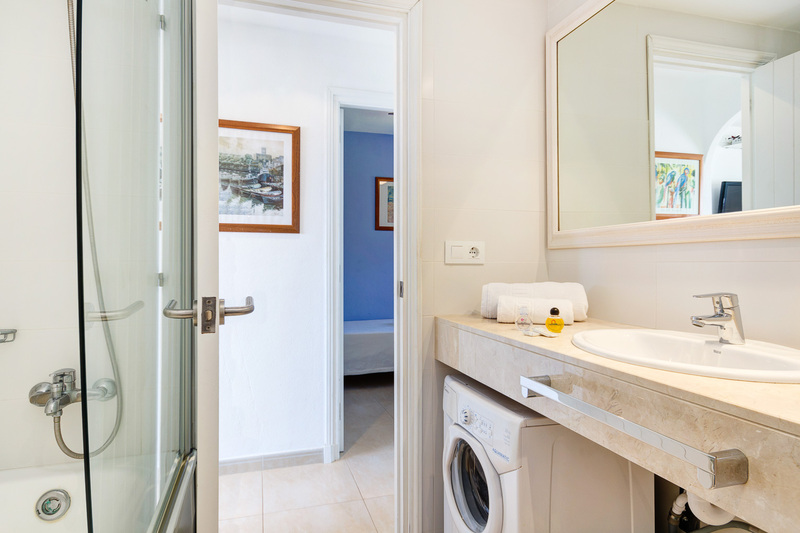 Includes cleaning and towel change (hand, kitchen and bath) twice a week and the bed linen once a week.